Do you mean if you ticked 'underwater'? I don't know how one could make them work properly when the entire section is water. 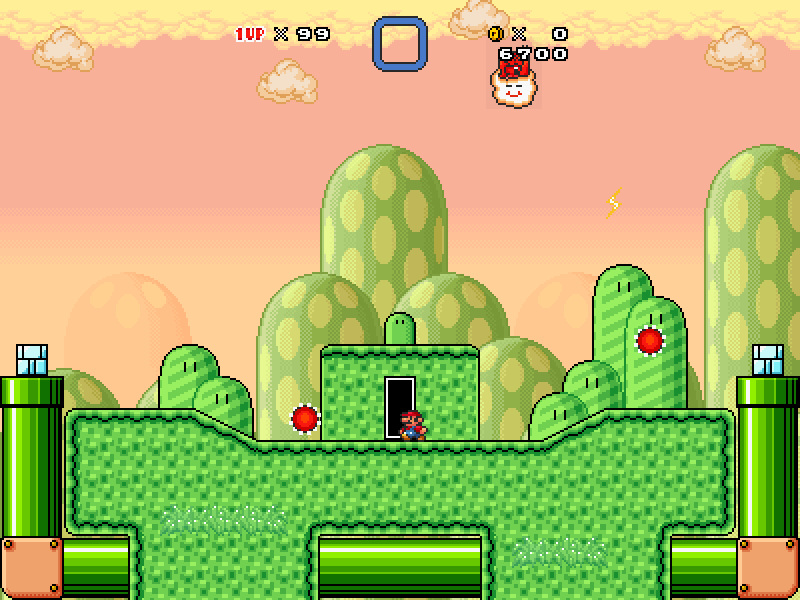 In original SMW, Dolphins continuously spring upwards when fully submerged. In SMBX2 this works properly with a large body of water, but not an actual underwater section. Dolphins don't work properly when placed in an underwater section, they keep sinking forever. Might do Heavy Bill Cave as well sometime in the future. Nice little kaizo, it was fun to play. Minor update made to Super Shellway 3000. Changes: prevented two potential zips; a particular kaizo block can no longer be abused to bypass a jump; shortened the post-goal area. When you have time, it'd be cool to see a one-shot of Super Shellway 3000. It's quite interesting to see that my kaizo level is in the lead at the moment. How much time do we have left to send you the graphics? Cause I still have no idea what my level icon could be, other than just a generic SMW level icon. So, do the sceneries have to be sprite-swaps of already existing graphics or can I make a new one that would be drawn in with lua? I'm thinking about making a lakitu that would circle around the level icon, like the one that exists in SMW. Ryaa wrote: Everyone that entered should send a screenshot of their levels so that I can make cool sketches of every level (including my own) to help keep the activity here. I'm glad to see I still scored well despite the fact I didn't manage to finish the level I originally wanted to submit. Anyway, thanks to the judges for their feedback and congratulations to Enjl for winning! Topic: The SMBX Wiki is now open!